You know that you need a strong personal brand to succeed today, but how do you go about establishing one? Personal branding is a long-term strategy that pays off down the road, but you have to start somewhere. Here are 8 ideas on how to creatively set yourself apart from the herd. Writing a blog is the absolute best way to brand yourself online. It allows you to share your expertise, show your personality, and get your fans involved. These are all essentials for branding yourself and a blog lets you kill all of those birds with one stone. Sit down and try to write a short sentence or simple phrase that communicates to people exactly what you do and how you benefit them. This is what's known in the marketing world as a 'tagline.' For example, if you're an SEO expert, you might write something like, 'I get you found online.' It serves both purposes - telling what you do and emphasizing benefits. Like a logo, a brand photo instantly identifies you. It also gives people a good first impression which might be the only one they get. Make sure that you look good in the picture and that you're smiling if you want to convey a friendly image. Be consistent with your image, using it everywhere you go. You might consider making a few different versions; for example, a more professional suit-and-tie picture for LinkedIn and something more relaxed for Facebook. Get involved and start hosting regular events. Events show people that you're passionate about what you do and it's a great way to get them involved directly in your brand. Events are also a wonderful way to network. Online you can do podcasts and webinars. Both are cheap options that offer global reach. Look around for opportunities to speak in front of groups. When you're a recognized speaker, this boosts your credibility and gives you instant expert status. Like hosting events, it also gives you a chance to network. If you're not a great public speaker, don't worry; a little practice will turn you into a confident speaker quickly. 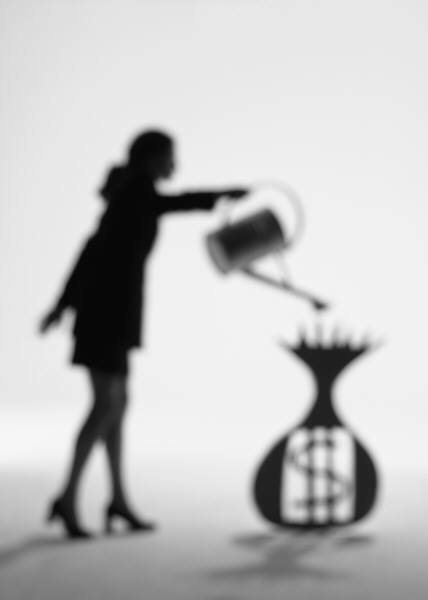 Offer coaching and mentoring, even if you don't get paid well for it. This adds immensely to peoples' perception of you as an expert. If you can teach others about your subject matter, this shows that you really know your stuff. Infographics are all the rage now and you can create one that's all about you. Your own personal brand infographic is like a visual resume. There are online tools that you can use to create your own infographic cheaply and easily. People love a good story and it's an important component to your branding. For example, you're a city kid who grew up poor and then discovered Internet Marketing. Or, you're a stay-at-home mom who does freelance writing. A unique story about how you got here makes your brand more memorable and helps you to stand out. Remember that the purpose of all of your branding efforts is to set yourself apart from everybody else. Use these creative methods to show how you're different and the unique value you bring to what you do. Branding really takes off when your personal passion comes through, so let it shine. Kenya Halliburton specializes in helping busy entrepreneurs who hate to write create compelling content and install proven marketing systems to grow their business online hands-free & stress-free. Sign up for her highly-acclaimed and miraculously free 6 Figure Content + marketing Formula and find out how to build a client-getting, profit-winning web presence in 6 easy steps. May I get a little vulnerable with you? If you’ve been following me for awhile you probably think I’m always totally confident, completely in my power and never have a down day. I wouldn’t be human if that were true, and I certainly wouldn’t be a woman entrepreneur! Sure, I have a ton of confidence…except for those times when I slip into an old way of thinking. Such as every time I begin to up-level my business. LOL, right? But it makes sense because every time you make a big shift in what you want to achieve you’re going to come up against old beliefs that you thought you’d had handled…only to find them resurfacing at the least opportune moment. What I’ve learned in the process of being tapped into my femininity AND growing a successful, multi 7-figure coaching business, is that every new level creates an opportunity to step more fully into my connection with spirit AND my confidence as a feminine leader. Want the same for yourself? Good! Here are 3 core beliefs it’s time you strengthen if you’re serious about creating greater success in your business. Which one of these resonates most for YOU? Not feeling good enough can undermine your confidence, causing you to under charge and over deliver. It can also cause you to over-worry about what others think, and fear being “found out” as a fraud. Journal your answers, then post them where you can see them for the next week. If you struggle with boundaries and always seem to be putting the needs of others first, then your self-respect is going to suffer. The solution? First, what are 3 areas in your business where you’re tolerating bad service, inferior work or late delivery? Not believing in the value of your skills and talents will cause you to give away your services without charging, to over deliver or to struggle with difficult, demanding or needy clients. First thought, best thought! Jot the number down and post it where you can see it and practice saying it out loud for the next week. You’ll be amazed at how you “grow into” your new number! This article is a continuation of the series started a few weeks ago where you’re learning about the four levels in which transformation occurs for a conscious entrepreneur and/or author. Today you’ll take a look at the third level… transforming your business! Once you’ve worked through your own transformation, and gained clarity on how you want to help others transform – this is the sweet spot in which your business can then transform. However, most entrepreneurs are taught to work on the business first. The belief is, if you work on the business and get it fixed, then everything else will work out. And, nothing is further from the truth. I know from experience what it’s like to build a business that looked like the epitome of success on the “outside” but had a cracked foundation on this inside. It didn’t matter how much money I made, even more than a half-million dollars in revenue in a single year couldn’t fill the crack in the foundation. 1) Are you really doing what YOU want to do, or are you doing what you think you should do? 2) Are you coming from a true place of service? Or, is fear causing you to act? 3) Are you allowing yourself to be guided (connected with Spirit) to help you determine the best next steps in your business? 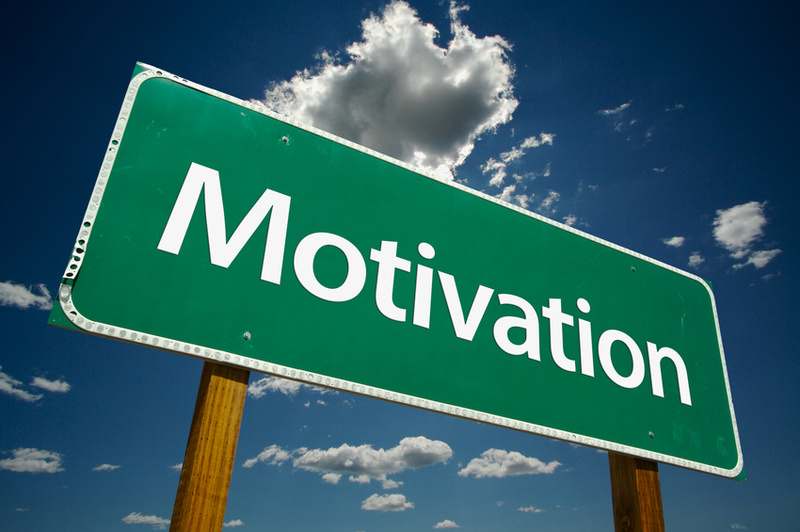 If not, what can you do to bring more Spirit into your business? All of these questions open new doors to honesty and authenticity with your Self. The answer to which will let you see into parts of yourself that perhaps you haven’t wanted to look into… yet. But, the beauty is – these questions hold the key to deeper understanding, new wisdom, truth and insight that, once integrated, will be the very rocket fuel for your business success. Especially now as the world goes through its own powerful transformation, your business is being called to do the same thing. Know that any challenge you face, obstacles that seem to be in your way, struggles that seem never-ending – they are all here to SERVE you on your transformational path. Let them be your teachers, let them bring you to your knees perhaps, and let yourself get to the bottom of it all so you can launch yourself back up with courage, wisdom and strength. Stay tuned for the fourth and final installment of this article series in my next issue where we’ll dig into the fourth level of transformation – your world! And, if you want to dig a little deeper right now, I encourage you to take the action step below…. Get out a piece of paper, or a new Word document and answer the questions posed to you above in the article. Give yourself the gift of taking time to do this now. Remember; do not have any judgment about your answers. Allow whatever shows up to be there, and pay attention to any feelings that arise. Breathe into the feelings rather than squash them down. You don’t need to do anything immediately with what you see. Simply begin the exploratory process of noticing what’s there and letting it unfold as you move forward. Other ways to describe them are work from home, virtual office, home based jobs, flex jobs, but the prevailing phrase is telecommute jobs. They've become the new employment model over the last ten years. As companies and employees are changing the structure, so many new benefits and job opportunities are emerging due to telecommute jobs. Ten years ago, the ability to have a telecommute job was only for highly technical or executive positions. Now almost 40% of the nation’s employers have them In fact there are companies today that have no traditional brick and mortar office and every employee telecommutes with every job being a telecommute job. Great examples would be Upworthy and Evolving Wisdom, all of their jobs are telecommute jobs. It would beg several questions as to why? First there is a huge cost savings for the company in offering telecommute jobs. Companies are able to hire all over the world, and save on the cost of facilities and operations. Take Aetna for example. Almost 47% of all positions ranging from medical, customer service, sales, operational, and administrative are telecommute jobs. This has saved Aetna millions upon millions upon millions of dollars. In turn? In turn they have been able to hire more and more people for positions. Telecommute jobs have proven regardless of the industry that the employees work at a higher level than those in a traditional office environment. They offer some flexibility to employees that allow them to work more, be more productive, and the retention of employees has risen 19%, because they are working in that type of position. Why? Employees, love to have the ability to work from home. Telecommute jobs save the employee mountains of money and time. Freeing up an average of $11,000 dollars a year in commuting expense and incidental cost. Gas, childcare, eating out, and spending on lunch hours. Not only is the employee keeping more of their check, they are ultimately happier working in the environment they prefer the most, their home. Telecommute jobs are not a trend. It is the new model. Companies such as Apple, Aetna, UHaul, Humana, American Express, to name a small few of the 1000's of companies that have adopted the telecommute model. It is the ever-increasing employment model. These positions now service all positions: customer service jobs, sales jobs, medical jobs, financial jobs, technical jobs, management, project management, administrative, and education jobs. They're the desired opening for both employer and employee. No longer reserved for the few but open to the many. When searching for your next position get the job that you want and need and desire to have, the telecommute job. 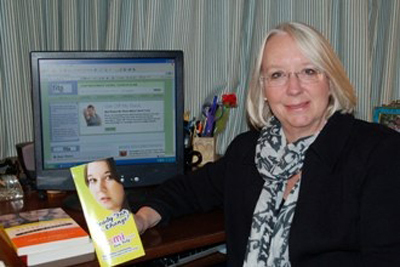 About the Author: Michele Unangst, is the Founder and CEO of Get My Mom a Job and its coordinating subsidiaries. Specializing in telecommute jobs only, the company's mission is clear: "Women do not have to choose between work, career, and their family or personal life." 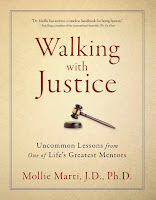 Mollie Marti is a resiliency researcher, psychologist, lawyer, and adjunct professor of psychology at the University of Iowa. She brings years of experience in coaching a prestigious list of business and athletic clients to her mission of helping leaders thrive and serve. She speaks around the globe on servant leadership, mentorship, resiliency, and business ethics. In addition to numerous academic articles, her business success books have been published in several languages. 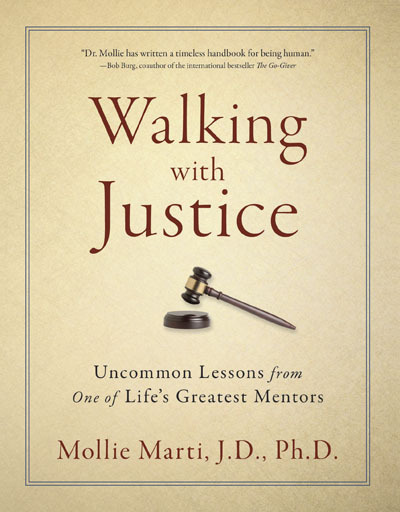 Her latest book about Judge Max Rosenn, Walking with Justice: Uncommon Lessons from One of Life's Greatest Mentors , is being welcomed as "a timeless handbook for being human." www.MollieMarti.com for fresh resources to grow your leadership resiliency. The image of real estate agents has been greatly affected over the past decade, by the influence of technology, especially the availability of information on-line pertaining to current residential real estate listings and past sales. Initially, the public had the impression that the web would render the role of the real agent as redundant. Many millennials thought that they could “go it alone” and save a commission. Nothing could be farther from the truth. As the burst of the real estate bubble in the mid 2000s has shown, the role of a competent, seasoned, efficient real estate agent cannot be duplicated by technology. The Internet is for window shopping and the agent is there to interpret what the client sees on the Internet, where there is also much misinformation, and to guide the buyer and seller into concluding transactions that overcome the myriad of obstacles that often occur, many of which are enumerated in my book, The Art of Selling Real Estate . The housing collapse served to further convince the public that an experienced agent was the necessary advisor in unraveling the conundrums presented by falling prices, short sales, foreclosures, defaulting developers, etc. The average person, regardless of their success in their own profession, is a babe in the woods when it comes to understanding and acting in their own best interest when it comes to these complex issues. Unfortunately the portrayals of agents on television reality shows give the impression that the real estate agent makes lots of “easy money” in what is portrayed to be a glamorous job, full of perks and lots of fun. Nothing could be further from the truth. My book, The Art of Selling Real Estate offers extensive realistic advice in how to build a meaningful career as an agent through careful, realistic financial planning at the outset of one’s career; it also offers advice on how to build your career by delivering extraordinary service, as well as on how to take advantage of an agent’s positioning to “make money while you sleep” through wise real estate investing. For those agents who are further along in their careers, but have not yet hit their higher income expectations, the book and my website, www.patriciacliff.com serve to deliver concrete advice about moving to the next income level by building a successful team or partnership. It is a fact that a career as a real estate agent can be enormously interesting with unlimited upside income potential, but it is hard work and requires a lot of aforethought and constant re-adjusting to shifting sands. I’ve gotten feedback telling me that my book, The Art of Selling Real Estate, cuts about ten years off the learning curve and propels even the most successful careers to higher levels. About the author: Over 35-year real estate industry veteran and Corcoran Group broker PatriciaCliff’s book The Art of Selling Real Estate (available on Amazon.com) is a no-nonsense, realistic guide to the business. Cliff, a specialist in international and luxury sales, shares the secrets of her continued success as a sought-after agent in a world of rapidly changing technology. 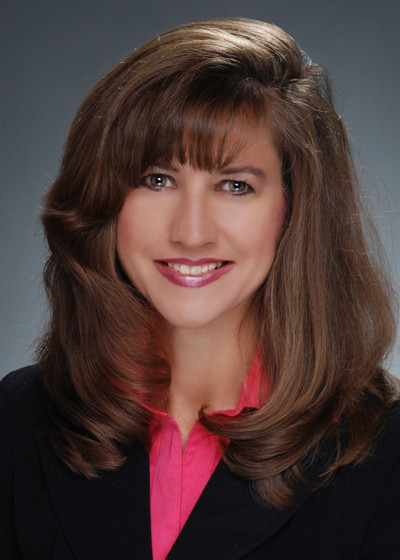 Rebekah Carpenter is the President of AV Productions and travels throughout the country as a keynote speaker, leadership development trainer, and performing artist. For over 20 years, Rebekah has created and facilitated keynote presentations and seminars for corporate, business, educational, non-profit, religious, personal and professional development events and conferences. The primary goal of Rebekah’s life-long research has been to create keynote presentations and seminars and write a book that go beyond where many presentations and leadership books typically lead – to temporary states of joy, motivation, and empowerment. Rebekah’s keynote presentations powerfully kick off events and conferences by deeply motivating and inspiring audiences to step up and have the courage to face and remove the obstacles that are keeping them from living a life that is permanently awake, alive, passionate and productive. Rebekah’s leadership development seminars are highly engaging and interactive, giving leaders tools that help them lead their entire organization toward permanent culture change. They learn to create an environment where employees are deeply energized and operate from a place that is awake, alive, passionate and productive. One of the most effective ways to grow your business is to package your knowledge, expertise and your services. That’s part of what can help make your business scalable. It helps to remove YOU from the day-to-day running so it liberates you from providing generic services by the hour. So why are you NOT packaging yet? Packages not only make it far easier to describe your offering – whether it’s a service or product – but they’re excellent for helping create more consistent income. Ideally, you remove access to YOU (or limit it) from your packages so that you can deliver more packages and you remove the ‘time’ element. If you do want to work with one-to-one clients, packages make a great first step for them to engage with you with less of an investment for them. Plus when the are ready to hire you, they’re aware of the value you deliver and they understand the higher investment. Avoid Overwhelm. You want people to feel a sense of relief when they learn about your offering, not like they need to do a lot of work before they’re ready for it. Give them what they WANT. You may know they need something specific, Focus your package on what your clients are saying they ‘want’ (sneak in what they need). Especially, in your marketing material, tell them how your package gives them what they want. Focus on the results. People invest because they want something to change. Be sure to clearly define the end results that you’re offering will deliver for them – don’t just list the features and expect them to make the leap. Spell it out for them. Above all, have fun with creating your packages. Include your personality and personal tips. In the end, that’s what may have the most value. Author Info: Barbara Saunders is the Solo Pro Business Success Expert who helps self-employed professionals go from floundering to flourishing! As the Founder of the Solo Pro Academy, she’s developed programs focused specifically on helping solo pros build a profitable custom-fit business for our new technology-drive global economy. Swing by SoloProSuccess.com and pick up your free ‘Income Accelerator Success Kit’. To connect with other solo pros, tune into Solo Pro Radio. In an ideal world, we’d fully isolate ourselves from negative environments. The reality is that we can’t fully escape negative environments. However, there are steps we can take to minimize our exposure to negativity and limit its impact. When we believe that we are being forced to tolerate a negative environment, such as a spouse who constantly complains or working for a company whose values don’t match our own, we can feel trapped and hopeless. The illusion of being subjected to negativity against our will can increase stress and depress our mood. To regain a sense of control, it’s important to acknowledge that you do have a choice in every situation. You may feel that you can’t afford to quit your job because the pay and benefits are too good and the job market is too unstable. Instead of bemoaning the fact that you’re trapped in a job you don’t like, acknowledge that you do have the choice of quitting. Instead, you are choosing to keep your job, because you enjoy the stable pay and benefits that it brings. This simple reframing of your situation will ease your stress and make you feel more in control. When you feel negative judgments arising, don’t resist them. Remember, what we resist, persists. Instead, acknowledge and embrace your feelings. Only by doing so will you be able to progress to the point of letting the negative feelings and judgments go. Journaling is another excellent way to release your feelings. At the end of the day, pour out all of your negative feelings and thoughts onto paper. Use the Total Truth process described in The Success Principles to ensure that you’ve fully excavated your feelings about troublesome situations. Negative feelings are like weeds. If you don’t fully extract them (e.g., pull out the roots), they will come back. If you’d like, burn your journal pages or letters that you write. When you find yourself repeatedly exposed to the same negative environments, such as your office, use one or more of the following tools to decompress and center yourself before moving on to the rest of your day. • Don’t listen to the news, which only adds negative images and thoughts to your mental space. If you commute between your office and home, spend your drive time listening to relaxing music or educational CDs. When I have to drive home from Los Angeles after a trip, I like to listen to a comedy channel. Because I spend the entire drive laughing, I walk in the door ready to greet my family pumped full of feel-good endorphins. • Create a decompression ritual to help you disengage from your negative environment. For example, take a walk after work, spend a few minutes meditating, or do yoga. A few minutes invested in nurturing and calming yourself will be rewarded with a calm and happy remainder of your day. • Do not use alcohol as a way to unwind. Alcohol lowers your inhibitions, which means that any stress and unresolved anger you’re carrying will come bursting out more easily. The innocent targets of your attacks will the people who deserve your anger the least: your family and friends. There may be situations where you are unable to control an environment. However, that does not mean that you should give up completely. Look again to see what small steps you might be able to take to create a more nurturing supportive environment. For example, if your office culture tends to be negative, hang motivational signs in your work area or select a picture for your computer screen saver that uplifts and relaxes you. Take a quick walk at lunchtime to reconnect with nature, or close your office door for a few minutes of breathing and meditation rather than gossiping over a cup of coffee. Finally, strive to be as positive as you can be. Give up complaining and blaming, and look for the best in every situation. Not only will you attract other positive people into your life, you may be the beacon that inspires others to shift their attitudes, as well. Linda Frankenbach is the founder and CEO of Life 180 Inc., a health media company which through its websites fitsmi.com and fitsmiForMoms.com and online coaching services offers support, community and behavior modification tools to teen girls struggling with their weight as well as guidance for their moms. Linda has an impressive track record in the creation of pioneering media brands. She was instrumental in the creation and launch of several major cable networks including HBO, Cinemax, Comedy Central and Court TV. In the 90's she created Parentime.com, one of the earliest internet parenting services, co-owned by Time Warner Cable, Proctor & Gamble and Parenting Magazine. 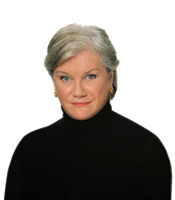 fitsmi.com was born of Linda's personal interest in the childhood obesity epidemic and her recognition of a strong need in the marketplace for more help for overweight kids. After exploring the idea of launching a weight loss television channel and VOD (video on demand) service, Linda decided to develop a website targeted at teen girls who struggle with their weight, a rapidly growing group of over 8 million girls underserved by weight management programs. As the mother of two teenagers and a media executive, she knew the best place to reach her audience was on the Internet with lively, relevant, interactive content and a supportive community of peers. She assembled an A team of television and Internet executives skilled in research, marketing and content production, as well as top medical experts in the field (doctors, psychologists, dieticians, exercise physiologists) to create fitsmi.com, a free website aimed at girls ages 13-18. In 2012, her company expanded their services for teens to include on-line group coaching by experienced dietitians. Linda and her team also wanted to address the need to educate mothers to be effective partners and champions in their daughters' struggles to be healthy. To do so they created a free site for moms: fitsmiforMoms.com. Throughout her adolescence, Linda and her mother together battled with Linda's weight problems. Linda knew that her mother was desperate to help her but lacked the knowledge and tools. Linda successfully overcame her weight problem with the help of a neighbor who was able to adapt an adult weight loss program to her particular needs as a developing adolescent. But she always believed her mother should have been more able to help. To enhance the help provided for moms in fitsmiForMoms.com, Life180 will introduce online group coaching for moms in 2013. Have You Solved The "Am I Worth It?" Question? Admit it, you secretly fear that someone will question your value, right? The list goes on but what really matters here is solving this issue once and for all. Because by solving it, you’re going to see a rapid up-tick in your income and in your self-esteem. So here are 3 truths that will help you see the value of what you do, not through the eyes of someone who is doubting herself, but through a lens that will set you free to confidently get on with the business of exponentially growing your business! One simple tool I created and have used in coaching thousands of women entrepreneurs to appreciate the value they offer, is to list 30 results your clients get from working with you. Not 10, not 20 and not even 28. By switching your focus to what actually happens for your clients you’ll find yourself easily able to reposition your offers from the perspective of results. This will help you automatically relieve any internal pressure to perform. No matter how idyllic our upbringing may have been, we all experienced some form of family pressures. As a child, you may not have had the experience, wisdom or choice to see those pressures for what they are: OPC (Other Peoples’ Crap). But as an adult, you DO have a choice. Doubting or believing in your value is an inside job. And where you are in this self-growth journey will be reflected in your business. My advice? Identify the types of people or situations that are likely to trigger any lurking doubts about value. Then, turn to your mentor to get coaching on the personal work necessary to clean this emotional gunk up once and for all. You’ll feel as if you’ve been set free and your business growth will reflect this in a healthy, positive income that grows and flows! People want to feel good about the investment they’ve made and they appreciate being reminded that they’re receiving products and services that are helping them in both big and in little ways. And they need you to help them see the transformation that’s happening for them. I recommend making it a habit to seed your presentations, VIP Days, teleseminars and articles with phrases that point out and emphasize value. And remember when promoting your programs, products or services on the web to list the monetary value of each component you’re including in the package. Make Focusing On Value A New Habit And You’ll Quickly Stop “Feeding the Beast” of Self-Doubt — I Promise! Are you a get-‘er-done kind of gal? Or, do you need a kick in the pants to get moving? And even more important… are you getting the right things done? Take the quiz and find out. As you answer each question, be honest with yourself. Your answers can shed a light on your weak spots, and help determine where you have room for growth. For each statement below, choose the best answer. Mostly As = A rare breed! You have a clear understanding of what you want and NEED to get done, and you use your time wisely to maximize results. You could probably benefit from outsourcing and delegating a few more things, so you free up your time to focus on big-picture vision type of work. Save your mental energy on money making strategies for your business. Mostly Bs = Creative and impressionable. You usually work through a few key items on your to-do list, but are easily derailed by interruptions, people, and your emotions. You could benefit from managing your reactive tendencies, and setting clear short-term goals for yourself so you stay on track. Mostly Cs = Control freak! This is a danger zone, because you might FEEL busy every day, but it’s likely you are spending your time on the little things, rather than the big-ticket priorities that are KEY to growing your business. You must practice the art of letting go, so you can leverage other people’s talent and tap into your own creative flow. You might run a tight ship, but your job as a business owner is to navigate your team to success, not sink your business with petty detail-overload. Mostly Ds = Loosey goosey. My guess is that you are treating your business like a hobby. Or, you are just starting out and are not used to managing your own time. It can be tricky to learn how to structure your days and find the discipline to be your own boss. If you are serious about becoming a successful business owner, you must remember your #1 priority is to make money, and that one main goal should be your guiding light every day. Once you get clear on your business’s objective, you can start incorporating time management and productivity strategies. QUESTION: What did the quiz reveal about YOUR productivity? Share your results and “a-ha”s in the comment box below. Branding is an ongoing adventure that needs constant and consistent attention if you want your brand fresh, memorable, and appealing to your ideal, super committed, and and highly invested clients. One of the ways to both accelerate and sustain your ascent to the business stars is to keep asking yourself, your prospects, and your clients the questions that will allow your brand to get real, grounded and aligned, and yet skyrocket at the same time. Intentional branding – the one that happens when you're determined to positively influence your audience's perception of your brand – starts with you being intimately aware of your magic, your calling, and your deepest desires. Identifying these is key to building a strong, unshakeable foundation that will help you shine like the star you are and grow your business effectively and efficiently with as little sidetracking and zigzagging as possible. Get answers to questions like: What do I stand for? What kind of brand and business I want to create, and do they match my ideal lifestyle? What type of work am I drawn to? What are my values? What personality do I want to infuse into my brand? What is my unique combination of gifts, expertise, background, passions, and interests? What can I promise to deliver? How do I take someone from problem to solution – what's my signature process? What kind of brand and business am I the perfect vibrational match for? How do I see my brand and business a year, five years, ten years from now? Then, be sure you understand how your prospective clients perceive you and your brand. Remember that how they feel about you is just as much or more important than what they think of you, as purchasing decisions are made based on emotions, then rationalized later. Does your ideal prospects' experience of you match how you view yourself and your business? Or, are there gaps to bridge and sparks to (re)ignite)? Consider questions like: If you were to describe my business/me/your overall experience with my company, which 3 adjectives would you choose? What words would you use to tell a friend about my products and/or services? How likely is it that you'd recommend investing in my offerings to your friends, and why? What would dramatically improve your opinion of me and my business? On a scale of 1-10, 1 being the lowest and 10 the highest possible score, what number best illustrates your desire and intention to get my help with (insert your promised outcome)? If you're not at a 9 or 10, what could I do to get you there? Now it's crucial to see if your potential clients' impressions of you and expectations of the results you provide match your clients' experience. Now it's crucial to see if your potential clients' impressions of you and expectations of the results you provide match your clients' experience. If there's a disconnect between the two perceptions of your company, make improving the one lagging behind your first priority, or you risk leaving even more money on the table! If your prospects' brand experience is better than your clients', you might be dealing with disappointed individuals who are driving business away from you instead of sending it to you. If it's the other way around, you're missing out big time, too, as you could be attracting and getting hired by a lot more people if only they knew how amazing you truly were. Either way, even if the two perceptions are perfect mirror images of one another, find creative, innovative ways to take them to the next level, and be as strategic as you can about it. To find out exactly how your clients feel and think about you and your brand, you can formulate similar questions to those you've used to survey and interview your prospects. A powerful question to ask your clients is the following: If you'd have to point out your favorite aspect of doing business with me, what would that be? OR If there is one thing I could have done more of, what would that be?